This special show focuses on artists’ personal reactions to challenges—either literal or symbolic—and how that challenge has shaped them and their artwork. “Trial by Fire” will feature one piece each from over a dozen local and regional artists working in clay. A brief statement from each artist will accompany the individual artworks in the exhibit. 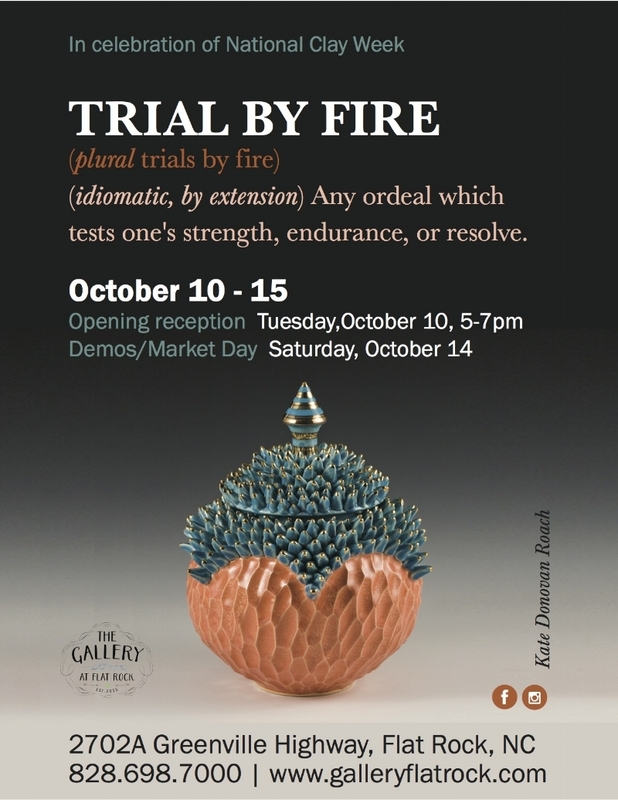 Gallery artists participating in “Trial by Fire” include: Meghan Bernard, Lucy Clark, Jennifer Halli, Gary Huntoon, Christine Kosiba, Dian Magie, Barry Rhodes, Akira Satake, David Voorhees, and Toby Wolter. Guest artists include: Alice Ballard, Travis Berning, Darin Gehrke, Lonnie & Margie Johnson, Nina Kawar, Eric Knoche, Kate Donovan Roach, and Sarah Wells Rolland.